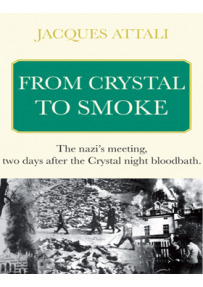 This monstrous meeting was held not only by Nazi officials for which Holocaust was "the solution of the Jewish Problem" but also in presence and with the participation of leaders of the insurance industry who were reluctant to reimburse the damages and the consequences of the horrors committed during the Crystal Night. On Saturday November 12, 1938, two days after the Crystal night (Kristallnacht) bloodbath... Goering with Himmler, Heydrich, Funk, Daluege among others present. Hitler, who had remained in Munich, followed every minute of this monstrous meeting, in which the decision was made to do away once and for all with the Jews. It was this surrealistic, grotesque and monstrous council of ministers, in which the vilest details mingled with the most hideous flights of barbarity, in which the Nazis’ hatred for one another was revealed, that led to the decision to do away once and for all with the Jews. This was long before the meeting in a villa on the Wannsee lakeside on January 20, 1942 and nothing was said explicitly. 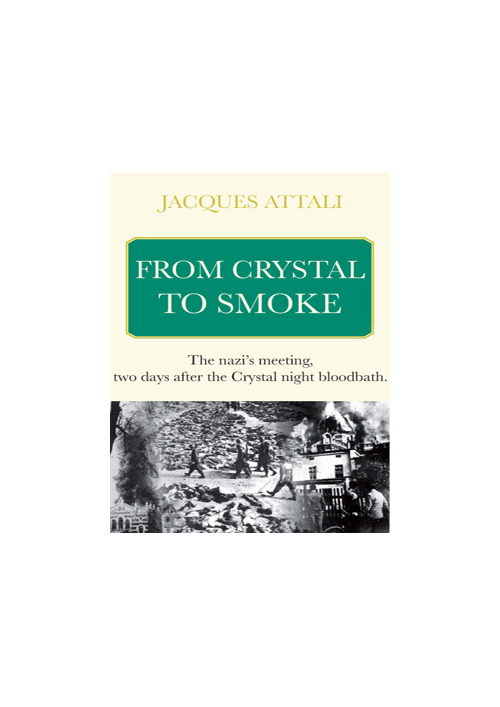 Jacques Attali has minutely reconstituted the incredible exchanges in this summit meeting in which was formed the worst decision ever made by a group of men: the extermination of a people. Is an eminent economic advisor and was recently nominated by French President Nicolas SARKOZY as the head of the Commission to promote French Growth. From 1981 to 1991 he was special advisor to François MITTERRAND and in 1990 he became the first president of the European Bank for Reconstruction and Development, EBRD. Currently he is chairman of A&A, an international consultancy company and the founder and president of PlaNet Finance, an international non-profit organisation that uses the Internet to combat poverty concentrating on the microfinance sector.